Since becoming a makeup artist 3 years ago, I have come across a lot of good foundations & some that aren’t so good! I have decided to bring you all a list of my currently top favorites & why! Just to give you all a little back ground on my skin, I have oily skin & I am prone to getting white heads & have hormonal acne issues. I cleanse, tone & moisturize 2x daily & 1x a day I use Dermalogica’s Daily Micro-Foliant to exfoliate the skin. I do own a Clarisonic but use it mostly on the days that I wear makeup after I remove my makeup. I do not use my Dermalogica product & Clarisonic on the same day, that would be a little to much exfoliation. I love love love, dewy glowing skin & don’t mind using foundations that will add a little bit of that extra glow. Matte skin is beautiful but it really isn’t my thing! So now that you know a little about what type of skin I have & how I like my foundation to look, lets get started with some of my favorite foundations (for the moment)! 1. Urban Decay’s Naked Skin ($39) is an OIL FREE foundation that sets to a demi-matte finish. It is designed to blur fine lines & wrinkles & give the skin that flawless airbrushed appearance without having to use a ton of foundation.It is buildable coverage so use just a little or use a lot…it’s up to you. I love this foundation because it really does feel & look like skin when you apply it. It’s lightweight, easy to wear & makes your skin look perfect. Even though it sets to a demi-matte finish, it still allows you to have glowing skin without looking greasy. 2. Cover FX Natural Finish Oil Free Foundation ($40) is another BBB fav! This foundation is a water based liquid foundation that will help to hydrate the skin, soothe inflammation & reduce redness. It is silky in texture & provides, buildable sheer to full coverage. It is designed to last from day to night while looking natural & soft. It is water resistant & long-wearing. This foundation was kind of iffy for me at first but when I realized that less is truly more with this foundation, I fell in love. This foundation seems to be thicker in texture when you first squeeze it out of the tube however, once you apply it you realize that it isn’t. The coverage is perfection & my skin looks & feels amazing with it on. Now, remember I am oily skin so when I wear this foundation I tend to skip the moisturizer. This foundation is already designed to hydrate the skin so I don’t mind going without the moisturizer. I know that is a rule that you typically aren’t supposed to break but that is what works best for me. I was very impressed with the wide range of shades that it came in & being a makeup artist that is a plus! 3. I was just recently introduced to Stila’s Stay All Day Foundation & Concealer ($44) & I really have enjoyed using it. This foundation is an oil free stay all day foundation that gives your skin a flawless finish. It helps to minimize blemishes & skin imperfections all while hydrating the skin. It is a full coverage buildable foundation. At the very top of the cap there is a concealer that is supposed to work wonders however, I have never used it. I may try it out 1 of these days but I have a concealer routine right now that I am loving. I used this foundation recently backstage at a fashion show & fell in love. I grabbed a couple of bottles & tried it out on a day that I knew I was going to be gone all day to give it a good test run. IT PASSED! It looked & felt great on the skin, gave me great coverage & by the end of my 8 hour day it was still in tact. It hadn’t separated or worn off like other foundations that I have tried in the past, it really did “Stay All Day!” A great foundation for that “skin like” appearance. 4. Benefit’s Hello Flawless ($36) is an oil- free brightening liquid foundation that builds from light to medium coverage giving you a natural complexion. It has an SPF of 25 built in & comes in 9 different shades. I have heard good & bad reviews about this foundation in particular but I am here to give it a good one! I love this foundation. I think that it is beautiful & it lives up to it’s claims, IMO. I will say that if you are oily skin & do not like the extra dewy look, then you might want to stay away. In my case, I love that extra added glow that this foundation gives. I will say that I tend to wear this foundation more in the winter time than in the summer since I am an oily skin sufferer. I did attempt to wear it on a hot summer day & with my skin type I noticed a little melting! LOL I knew then that I should reserve it for the winter. In the winter when your skin is dull & it needs some brightening, this foundation is great. The coverage is perfect for me (I don’t want full coverage all the time) & it really makes my skin GLOW! 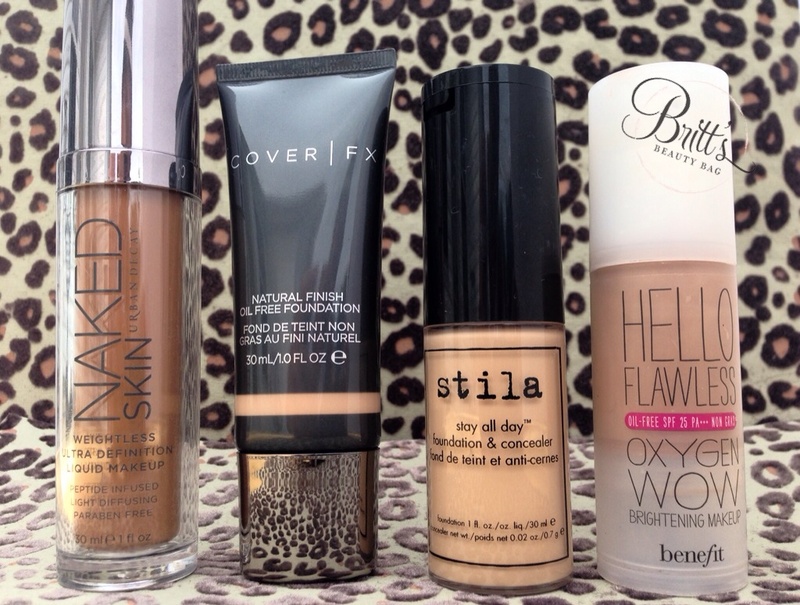 Well there you have it, Britt’s Beauty Bag top 4 foundations! I hope that this review has helped you all & made it a little easier for you the next time you go foundation shopping. If you have any questions please feel free to leave a comment & I will get right back with you! 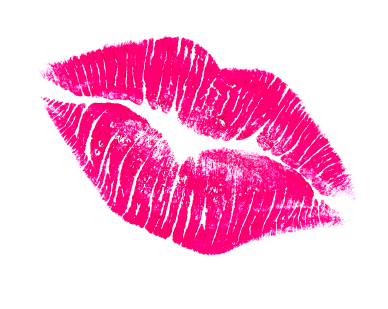 « LIVE Makeup Class in your Bedroom! So glad it was so helpful! Check out the post about the upcoming makeup class! They have great maintenance products. I am forever a fan! Be sure to check out the post before this one. I am having a free makeup class live online 9/14 at 7pm CST! Check the post for details! Thanks for supporting BBB! Anytime! Be sure to check out the post before this one. I am having a free makeup class live online 9/14 at 7pm CST! Check the post for details! Thanks for supporting BBB! Try it out again & see how it works for you! Keep me posted. Sometimes it’s like that, you have to try things over again to really tell if you like them or not! Be sure to check out the post before this one. I am having a free makeup class live online 9/14 at 7pm CST! Check the post for details! Thanks for supporting BBB!